Dungeon Rush Evolved : Featured by Google Play in 100+ countries !!! Join millions of players worldwide in Dungeon Rush, the unique IDLE MMO card RPG!! Collect legendary heroes, form a battle-hardened team, fight with other players, and accomplish legendary achievements. You can also form a guild with other players to rule the Dungeon Rush universe! Deep in ancient ruins, your heroes must explore dark dungeons, defeat terrible monsters, and battle for glory in the arena! 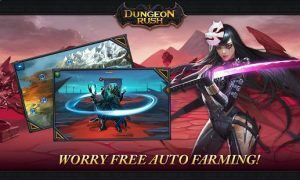 Once you’ve unlocked a dungeon, it’s ripe for the reaping with Dungeon Rush’s Auto Farming feature. Set your heroes to work clearing out the dungeon and they will rush in and battle through gaining experience, gold, and items along the way. You don’t even have to be in the game to win the rewards of your heroes’ auto farming! 1. Auto Farm in the background while you’re free to do other things. Check back later to collect your new equipment and see your heroes’ progress. 2. Explore dark dungeons, collect powerful heroes, challenge other players in the arena to win riches abound. At the end of each season you can receive a unique rare hero! 3. Over 200 different heroes of 6 different types to add to your team. 4. Randomly generated equipment and items so that you never get the same things. 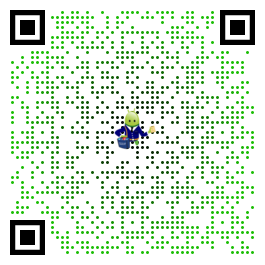 Collect a valuable inventory! 5. Create your own guild, and team up with other guild members to challenge the powerful guild boss as well as other competitions to see who will be the masters of the floating island. Ok guys, awakening is fixed and a nice edition to game…. so if drop rates where a little better and prices not so high this game would get 5 stars from me, I never review games I never spend on these games, but this one is amazing really rewarding once you break the barrier and start getting legendaries, champions and good equipment, patience and events are key, love this game really cool characters and community. 4/5 will keep spending…. Awesome game Awesome strategy game if you have the patience for it.